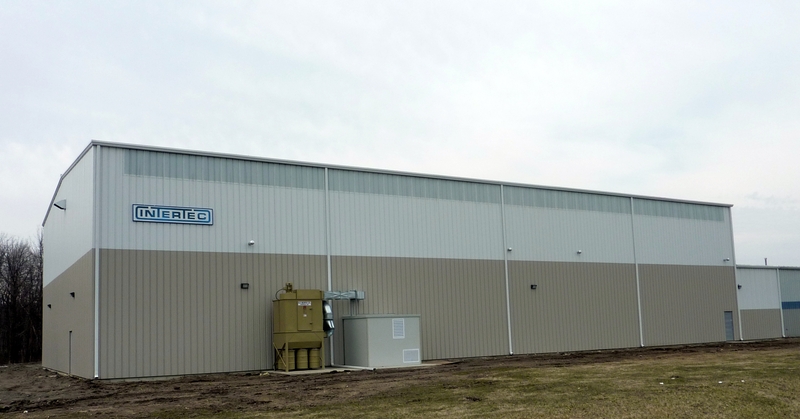 Sarnia, Ontario, April 11, 2013 --- Today,Intertec Instrumentation opens a major new extension to its Sarnia manufacturing facility, greatly enhancing the company's ability to make field instrumentation shelters, cabinets and enclosures for the North American market. The production area is housed in a brand new 15,000 square feet (approx. 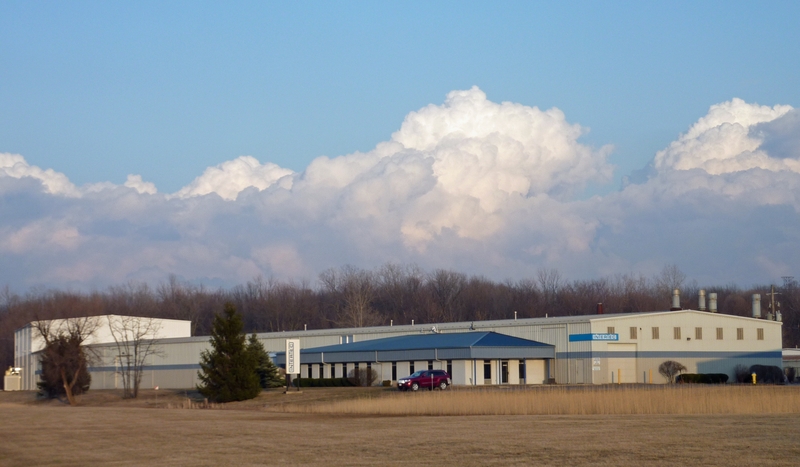 1,400 m2) building, increasing the size of Intertec's Sarnia factory by more than a third. 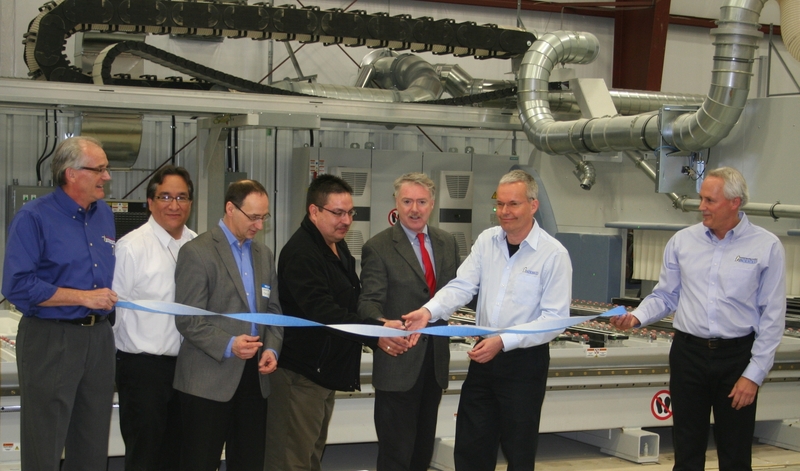 The new facility allows Intertec to make major efficiency gains in the production of field cabinets and shelters - which are often used to house process analyzers. 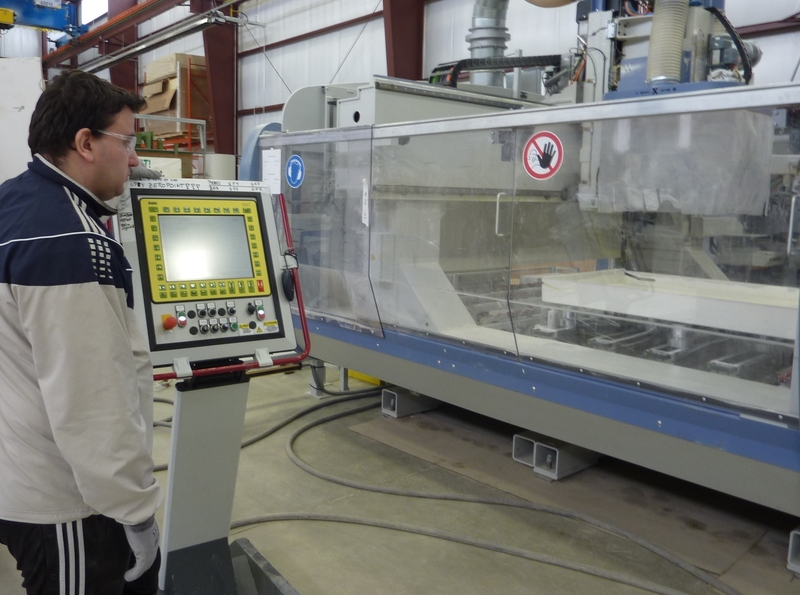 The building also houses a patented new CNC manufacturing process that allows instrumentation and control engineers to specify the precise dimensions they need for their particular outdoor enclosure and have it made using an economic automated process - instead of compromising and using a standard size, or commissioning a special hand-built model. The factory expansion - an investment of more than CAD $3 million for the company - follows a period of sustained growth for Intertec, with demand for field shelters increasing massively by some 500% during the last two years, and demand for smaller outdoor enclosures and cabinets growing by around 50% over the same period. 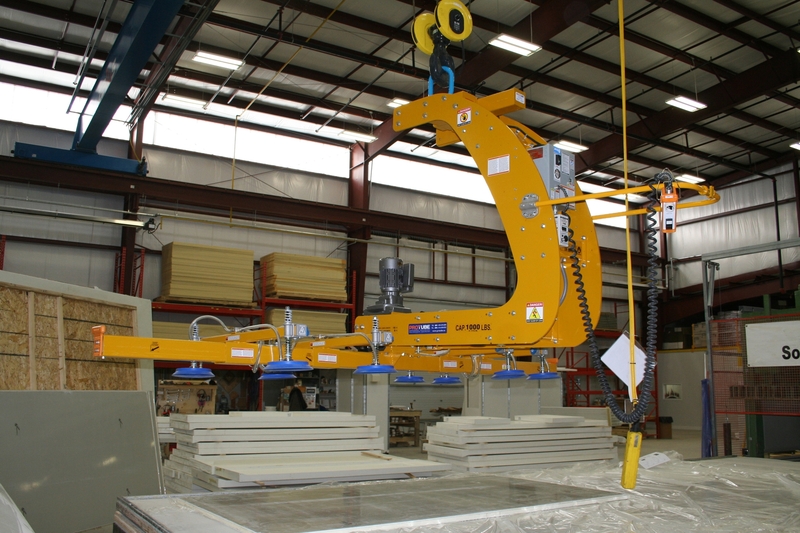 The increase in business is being driven by a number of technical factors related largely to the performance of the structural materials the company uses to build outdoor enclosures - glass fiber reinforced polyester (GRP) - which has become a strongly preferred option for many long-lifecycle outdoor protection applications in the process industries. This has resulted in major orders for the company, such as project wins for protecting field instrumentation used by operators working in the Alberta oil sands region, and possibly the world's most significant single order for field shelters ever placed - for protecting the process analyzers at the new Sadara complex in Saudi Arabia which is the largest petrochemical facility ever built in a single phase and will have 26 world scale manufacturing plants. "This investment allows us to shave around 25% off the manufacturing times for many of our outdoor enclosures and shelters, and gives us much greater flexibility to meet the fast-changing demand from our processing customers," says Phil Luppke, General Manager of Intertec Instrumentation. The new building has been designed to improve Intertec's manufacturing efficiency in two particular areas. The first is outdoor shelters. These are typically single-storey buildings providing protected operating environments for analyzers and other process instrumentation and control equipment - in custom shapes with spaces up to 100 square meters. To simplify shelter production, the new building has been fitted with a large gantry and a new 20 ton crane from Zelus - allowing Intertec to assemble and move shelters through the various manufacturing stages much more easily. A second advance comes in the form of a major new CNC machine from MAKA Systems which automates the cutting, routing and drilling of all the panels that are used to build the enclosure, cabinet or shelter - with an extremely large working area of 12.1 x 3.5 metres. This aspect of the new automation alone eliminates many operations that were previously performed manually, shaving valuable time from the manufacturing process. 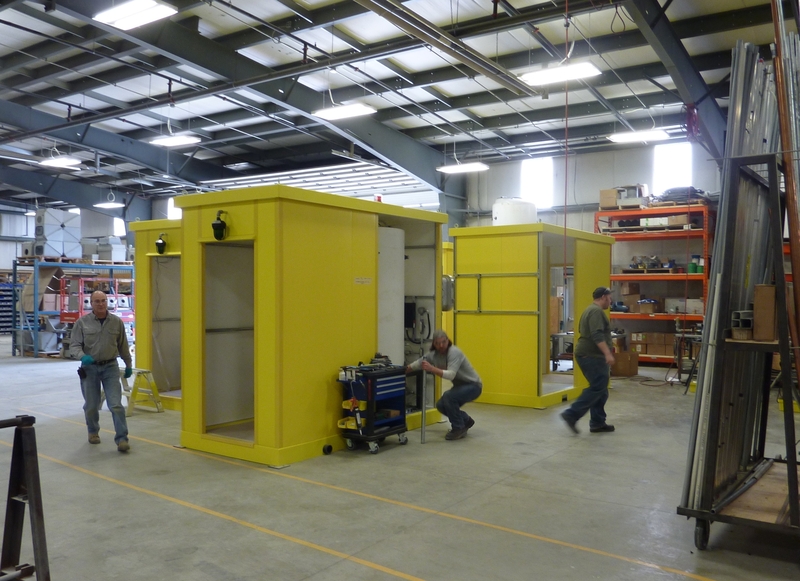 It also makes it much faster for Intertec to build completely custom sized outdoor enclosures. By optimizing the size and design of an enclosure to precisely match the instrumentation content and layout, engineers can minimize its surface area and thereby secure optimum thermal performance. Until now, due to the lack of design choices, they have often been forced to use an unnecessarily large standard enclosure or even a cabinet, leading to wasted space and excessive energy use for heating or cooling. The new production process is so simple that Intertec can now easily make custom enclosures in quantities of just one if required, providing a valuable new service in the North American instrumentation market. The outdoor instrument protection business is evolving rapidly, and Intertec's investment in additional manufacturing capacity and automation positions it well to face many of the current challenges. 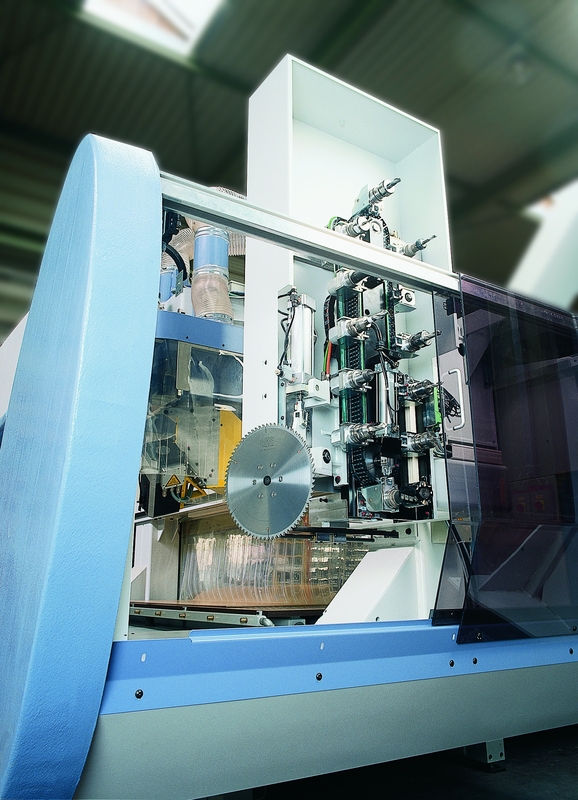 The first and most significant is an enormous shift in demand from purchasing enclosure components to turnkey enclosures - assembled and fitted with instruments ready for connection to the process. This is being driven by the way that many processing companies have downsized their in-house engineering and technical staff - and prefer to employ external specialists as required. Another factor is the relatively higher cost of skilled field labor required to install instruments compared to the rates that are possible when enclosures are pre-assembled on a production line. Although Intertec offers the full range of components required by engineers to build their own outdoor enclosures - from standard enclosures to all of the accessories needed such as heaters or sunshades - its turnkey design and assembly service has grown dramatically in recent years. Today in North America, over 80% of the company's sales are now for populated enclosures. Another change is the increase in demand for GRP enclosures. In the past, many companies have tended to specify conventional metal enclosures for outdoor applications, with stainless steel being used when the environment is harsh. The corrosion risks encountered in many of the remote and harsh areas where oil and gas is now being produced has increased demand for GRP as it is almost immune to the corrosive effects of salt and aggressive chemicals. GRP is also better suited to meeting another increasingly common specification: blast-proofing. 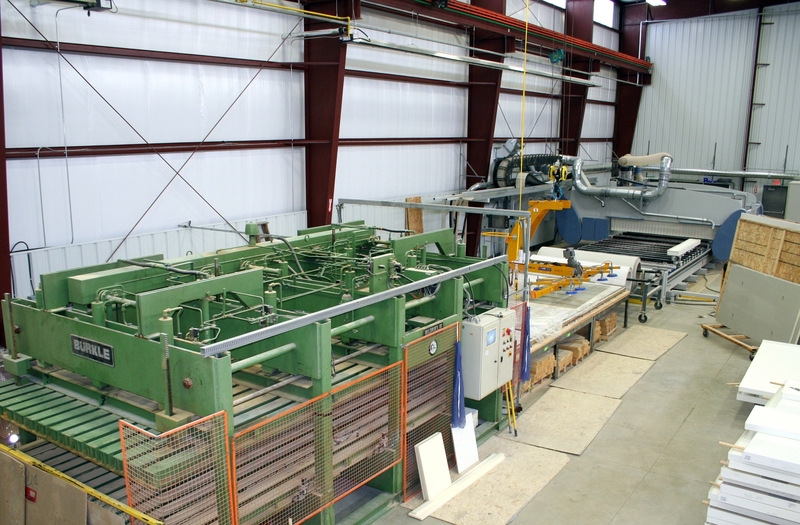 High pressure waves can easily damage and break metal or thermoplastic. GRP's intrinsic flexibility allows the enclosure, cabinet or shelter to flex and absorb blast-wave forces. A further important attribute of GRP material for providing superior outdoor protection is the way it can be manufactured easily in sandwich constructions enclosing inner layers of insulation - providing energy-efficient enclosures that have no thermal short-cuts. One other emergent advantage is the way that GRP enclosures can provide benign environments for housing the new generations of wireless-enabled field instruments - extending their applications potential in outdoor locations. Intertec's factory in Sarnia - with new extension (left) housing a purpose-designed layout and automation to make instrument shelters for process plants. 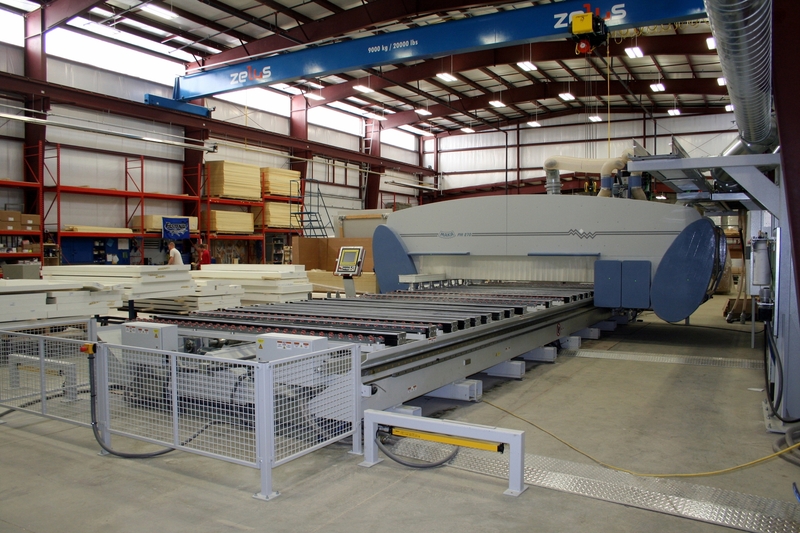 A massive new CNC machine at Intertec with an extremely large working area automates the cutting, routing and drilling of panels that used to build instrument enclosures, cabinets and shelters, eliminating many operations that were previously performed manually. A new CNC machining centre and large press installed in Intertec's new factory extension for building instrument enclosures, cabinets and shelters. The tool magazine on the new MAKA CNC machine installed in Intertec's factory. 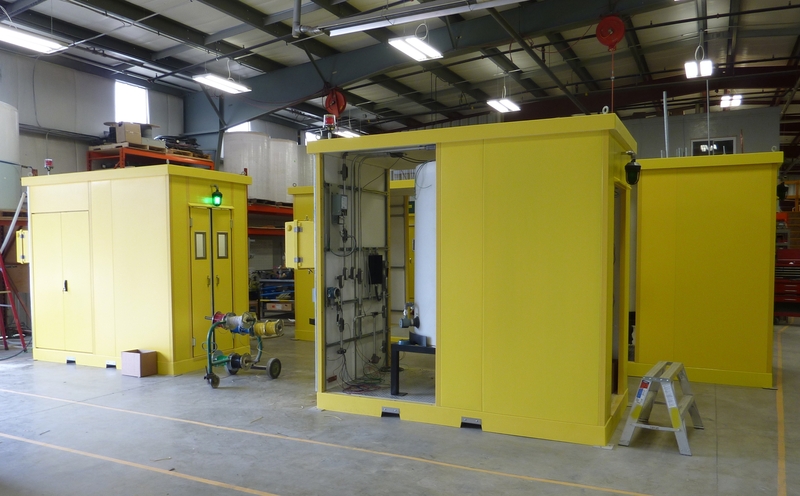 Intertec's new production area and automation makes it much easier and faster to build large shelters for protecting process instrumentation. Intertec's new factory is declared open:(left to right): Phil Luppke (General Manager, Intertec), Greg Plain (President Chippewa Industrial Development Park), George Mallay (General Manager, Sarnia-Lambton Economic Partnership), Chris Plain (Chief of Aamjiwnaang First Nation), Mike Bradley (Mayor of Sarnia), Martin Hess (President, Intertec), Steve Scott (Operations Manager, Intertec).